Nuke Pro: Massive Whale Mortality Continues -- And Radiation Never Gets Mentioned! Massive Whale Mortality Continues -- And Radiation Never Gets Mentioned! 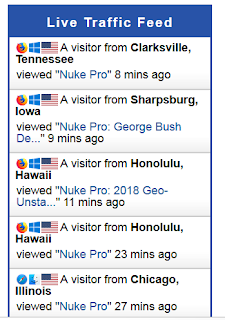 stock here -- resident "troll" who is probably not a bad guy, just brainwashed by nuclear, visited shortly after I responded to a comment he made on volcanoes and radiation. Clarksville TN caught my eye with visitors. 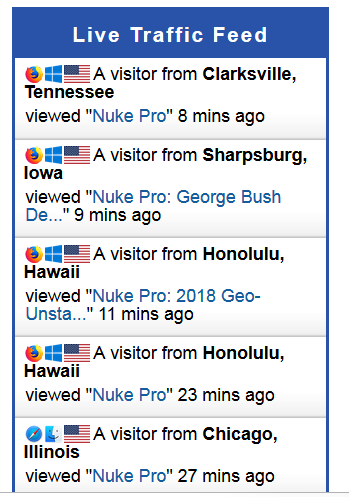 Interesting....Loose Nuke is commenting from Oak Ridge Tennessee. Imagine that. In addition to the strandings at Chatham and Stewart Islands this week, a group of 12 pygmy killer whales also beached in New Zealand’s far north and a sperm whale and a pygmy sperm whale grounded themselves in separate incidents on the North Island. New Zealand, the cluster of incidents in such a short time frame was unusual. Lol must be a very large acute dose. Low dose chronic effects wont manifest for decades if any at all. Still A-bomb victims walking around. They'll die of old age. Ah Lucey, you are brainwashed that the only effect of radiation is a long duration cancer. These whales have 2 things happen due to radiation. 2) Their food chain is decimated. Many imnportant bottom of the food chain "critters" use chitin in their bodies. Chitin bioaccuulated radiation like a sponge. This creates not just destruction of the biological structure, but also creates damaged structures when replicating. What's in Oak Ridge that has you all flustered? Probably the highest concentration of nuclear expertise in the world. I'm not from there. Not from there, but you work there often.